I don't even know where to begin. There's just so much good stuff to cover! Writer/Director Ryan Coogler (Fruitvale Station) merged both a brilliant script with some genius-level camera work all rolled into one. Coogler lays out a complex and genuine journey for an African American male who must deal with abandonment issues. In other words, this isn't just a story about a black guy who's angry all the time and wants to fight; it's deeper than that. The overall plot is full of drama, bits of humor and great fight scenes. Speaking of which, the fight scenes were wonderfully choreographed. There are very few moments when they feel staged. (Unlike in Southpaw.) Not only does Coogler involve real life boxers in the film but there are a few scenes that show Jordan taking real punches! One other minor detail that is worth paying attention to is how there are very few cut scenes during some of the fights. The camera rarely cuts off which makes some of the scenes that much more enjoyable to watch. As for the acting, it was a great clash of the new school meeting the old school. 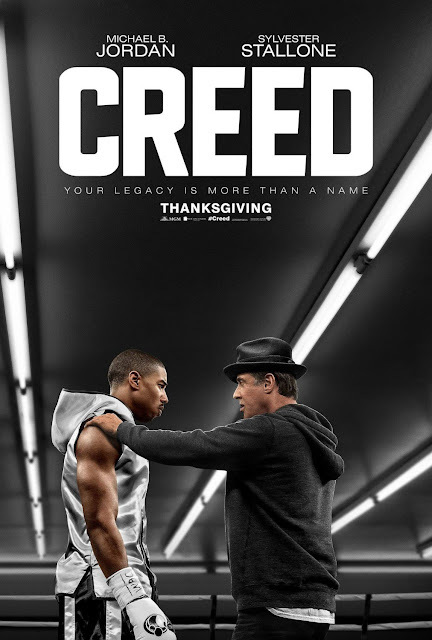 Michael B. Jordan (who plays Creed) represents the new school and delivers an impeccable performance. You'll be saying, "What horrible Fantastic Four movie?" after seeing this performance. He was able to deliver a wide range of aspects to his character such as being charismatic, angry, charming, sensitive, tough, witty, and more. Jordan ALMOST lost this acting battle with the old school champ, Sylvester Stallone (who plays Rocky Balboa). I may go out on a limb and say that Stallone may have put him self in the running for the"Best Male Supporting Actor" running. This was almost like an "acting tug of war" between the two. Regardless the on-screen chemistry between Jordan and Stallone works just fine. As you could probably tell from "The Good" section, this movie was really really good. If you wanted an idea of what this movie was like, it's like Fruitvale Station + Rocky. (Big surprise right?) Matter of fact, this is kind of like the "Black Rocky". It's not a rip-off by any means, but it is very similar to the Rocky story except from a different, ethnic perspective. I certainly appreciated the character development of Jordan's Creed character because it didn't fall into the stereotypical, Hollywood, one-dimensional portrayal of a troubled African American youth. I was extremely fortunate to attend the one screening in Chicago that just so happened to have the cast and crew of Creed make a special guest appearance. I was able to get some footage of a few questions from the Q&A after the movie. Please enjoy and share. Of all the Bond films (in the Craig era) this is probably the one that has encompassed the most "Classic Bond" traits to date. From the very beginning, we're given a visually beautiful and artistic intro with Sam Smith singing Writing's On The Wall (Youtube). The film does an excellent job of giving you all the things that probably made you enjoy James Bond films. Daniel Craig continues to deliver the gritty while yet still smooth and debonair portrayal of James Bond. 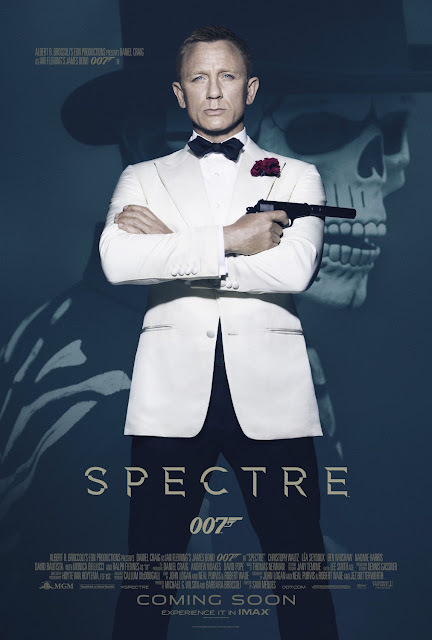 Christoph Waltz does a nice job of finally bringing back the sense of what an original Bond villain was all about. He was that evil villain with the mastermind plan to take over the world and was never short of putting Bond in death defying traps. Another great addition was the role of Mr. Hinx, played by Dave Bautista. One of the most memorable aspects of any Bond movie is the ridiculously powerful right-hand man to the main villain. Bautista excelled greatly in this role probably because he didn't have to do much talking (which worked out very well for his character). Besides the many great actors in this film, this was nothing short of being action-packed. There were plenty of gun fights, chase scenes, and explosions to keep you engaged. One of the biggest issues I had with this film was that the plot had two problems. The first problem was that it was entirely too predictable. There are very few shocking or revealing twists or outcomes that you won't be able to foresee coming. The second problem was that this plot was very familiar to that of Mission Impossible 5 (my review). It literally seemed like the exact same story being retold. It may be a coincidence, or just really bad timing on the part of the movie studios. Not sure how much of a bad this may be or not, but there were a lot of instances where things just were a little too convenient for Bond. I won't go into detail, but it's the normal stuff like having impeccable aim with a gun, or conveniently finding an escape route here or there. After a while you just give it an eye roll and move on. For you impatient types, brace yourself for 2.5 hours of movie time. There are some slow spots in the film, but nothing terrible since there's usually a good action scene to grab your attention soon to follow. Finally, I think that while the "Bond girls" have typically had superficial roles in the past, this current Bond girl (played by Léa Seydoux) didn't work out as well. Her story seemed okay however her relationship with Bond seemed rushed and forced. Best way to sum up this movie is Casino Royale (Blu-ray) + Mission Impossible 5 (Blu-ray). I personally like this as one of my favorites of the previous Bond films with Daniel Craig. Although I may have to give the edge to Casino Royale due to its originality and giving us a version of Bond we haven't seen before. The story was easy to follow, the bad guys were bad, and Bond was cool as ever. Even if this is kind of predictable you'll get over it with all of the action and suspenseful scenes. This is more than worth the watch in theaters, so feel free to go see it.